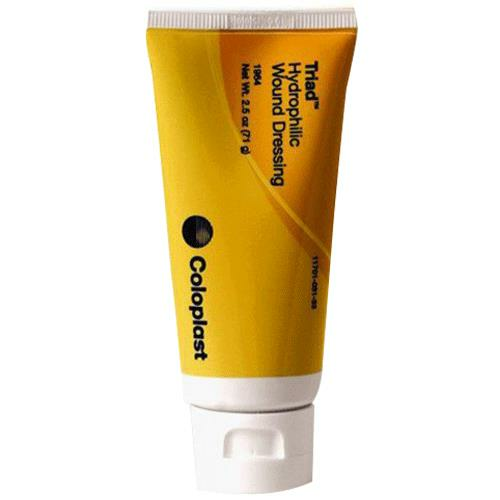 Triad Hydrophilic Wound Dressing by Coloplast is a hydrophilic paste that contains zinc-oxide. It is usually used for managing light-to-moderate levels of wound exudates. Coloplast triad paste absorbs excess exudate and it gently sticks to moist wound beds. Coloplast Triad Dressing provides an optimal wound healing environment that facilitates natural autolytic debridement. When to Use Triad Hydrophilic Wound Dressing? Repeat application at least every 5-7 days or as necessary. Are you supposed to clean it off daily or just keep reapplying? You would re-apply the Triad paste. Thank you for reaching out to us. You would re-apply the Triad paste.